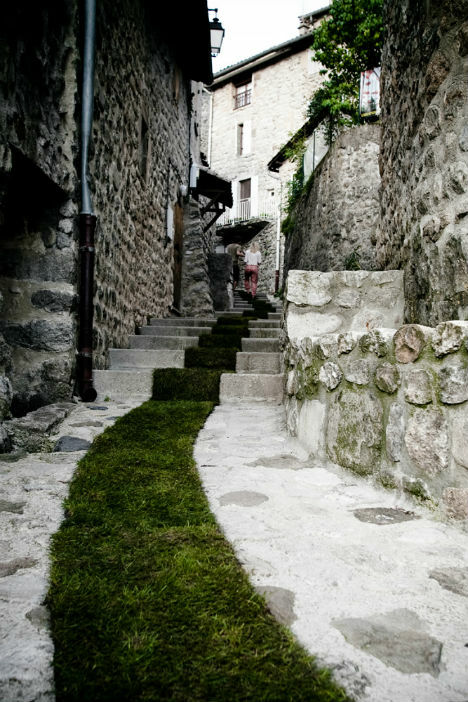 It flows down the streets, up staircases and around corners – a green carpet, unfurled like a leaf, in a city of stone. 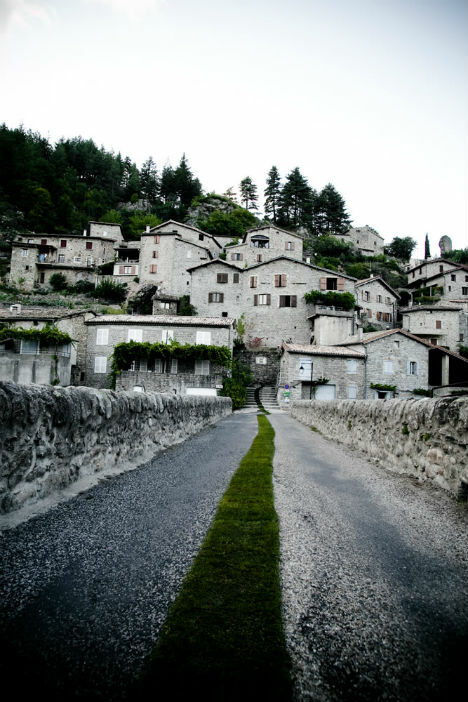 This path of grass was installed in the picturesque French village of Jaujac to celebrate the 10th year of its arts and nature trail programs. 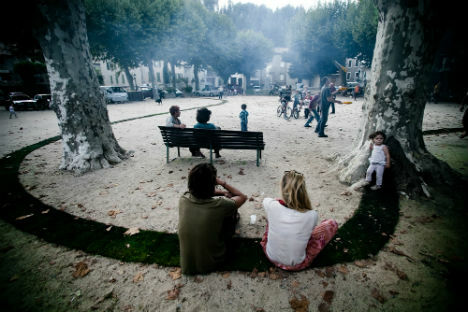 Public artists Gaëlle Villedary used an incredible 3.5 tons of natural, living turf grass. Stretching nearly 1,400 feet, the trail brings greenery to places that have little room for nature. 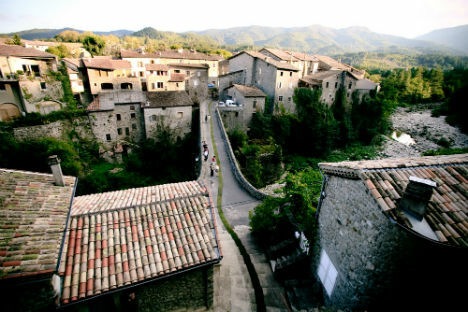 Though the village is set in a breathtaking natural setting of forests, hills and rivers, its public areas are fairly bare. 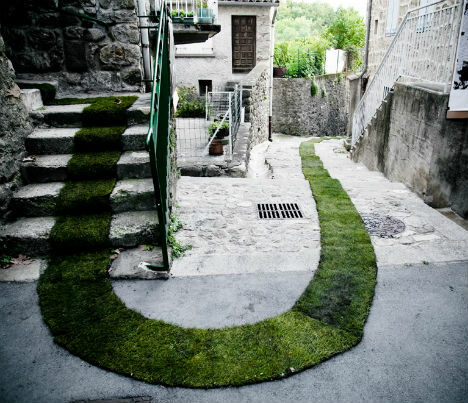 Calling to mind moss graffiti, the green carpet represents a stunning convergence of natural and urban environments. The temporary installation was completed in September 2011.